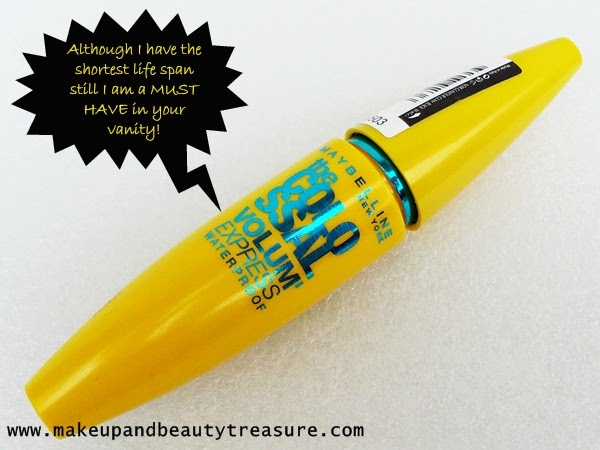 Do you keep using your mascara even after the expiration date? Me: The average shelf life of mascara is 2-3 months. As I throw away the outer packaging of the mascara that usually includes date, I judge its expiration when it starts changing its formula, gets clumpy or flaky and no longer works properly. Sometimes the scent gets weird too and tells you to throw away your mascara! Sharing mascara also reduces its shelf life as it spreads germs and your eyes may get infected. Even if you need to share your mascara, make sure you use disposable applicators and no double dipping please! Now your turn guys! When do you throw away your mascara? Share in the comments section below! Same here. i too look at the formula! Megha, I seriously dont see if it is 3 months or what..but like you mentioned you check for clumps, dryness etc, so for me too these are the indicators that the mascara is dead!! Ditto Jhilmil. I too dont bother to note the date! I too judge it by formula and smell! I do keep it longer. But only if it doesn't smell funny or dry out..
Swati my mascara does not remain in good formula for a long time so i have to throw it anyways! I usually have just one or two mascaras at a time so I manage to use them before they go to waste:) Feel better soon! I agree with you meghu! I don't check the date but as soon as i realize it is get flaky and clumpy, I stop using it as i need to take extra caution due to my contacts. Even I dont look at 3 months...I dump it when it starts drying! I totally agree, I usually throw it away when it gets flaky and doesnot do what it is supposed to. I also stop using mascara when it seems to change it's formula :) nice post..